After all the arguing with the Pharisees for the past many chapters, Jesus is apparently weary, and wants to get away for a break. So he goes into Gentile territory to the north of the borders of Israel, hoping that, at least there, he can be anonymous. Perhaps he was still brooding over the repeated rejections of his message by those who heard it—not just the Pharisees but even his own followers. No doubt he was exhausted from having to explain things over and over and over and receiving at best only puzzled looks in return. Just like all of us, Jesus needed periods of rest. And by now, the only way he was going to get that was by going away, by going to places outside the boundaries of Israel and Judea. 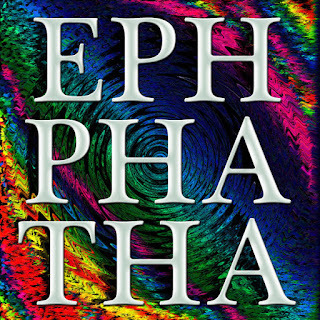 So he went up to Lebanon, to the city of Tyre on the Mediterranean coast, an ancient city, originally founded by the Phoenicians, the people who gave us the alphabet. And yet, even there, immediately he is approached by a woman of the area, who falls down before him at his feet, a position of both worship and pleading. It’s also a wise position, strategically, because it is impossible—and incredibly rude-- to ignore someone who has thrown themselves at your feet. This woman is an outsider on three important levels. First, she is a woman, approaching a strange man whom she does not know. Second, she is a Gentile, of Phoenician and Syrian heritage. Third, the inhabitants of the region of Tyre were typically prosperous, as it was a busy trading hub with a highly lucrative economy as compared to the poorer agricultural area from which Jesus came around Galilee. So Jesus responds in a way that is not exactly welcoming—maybe it’s the exhaustion talking. Or maybe he is a little resentful of her forcing herself upon him as he is seeking some peace and quiet. So Jesus tries to turn her away, and he even implies that she and her people are dogs, fit only to cringe outside the doors of the children of Israel. And maybe Jesus, fully human and worn out and frustrated, hopes that like a dog she will slink away. But the love this woman has for her daughter, and the fear this woman has for her daughter, has led her this far in powering through all the obstacles of race and gender that should keep her completely powerless. Perhaps she anticipated that this Jewish holy man would reject her, as expected, and had prepared her counterarguments with that probability in mind. What we see here is that there are several times in the gospels where Jesus himself is astounded and surprised by someone who by rights should have less than zero understanding of him and faith in his message—tax collectors, women accused of impurity, centurions and members of the Roman legions occupying Israel, Samaritans, and now this uppity Syrophoenician woman who won’t take no for an answer. None of these people are considered insiders. All of them are considered impure or defiled for one reason or another. Yet all of them teach even Jesus about the borderless power of faith. Faith respects no boundaries, but grows where it will. “Maybe I am a dog, sir,” she responds, humbly, refusing to be thrown off by any attempt to provoke her. “But even dogs are grateful to accept whatever scraps and crumbs fall their way.” And in this way, she draws Jesus up short, and leads him to reconsider. He himself has just gotten finished arguing that nothing on the outside of a person can make them unclean. And now, standing before him, is living proof of exactly that message. What we see here is that Jesus really is fully human, and that’s vitally important for us. We have hope because God became fully human in Jesus, and Jesus, just like us, got tired and hungry, mourned for his friend Lazarus, and got tired and frustrated. That’s the reality and the comfort of the incarnation. Jesus emerges from this encounter, just like his tempting in the wilderness and his baptism, changed. He has been reminded that even he has to be mindful to understand that God’s love for the world shows no partiality and admits not lines of division. No one is outside the bounds of God’s grace. No one. The Syrophoenician woman asks that Jesus be open to the idea that all are equal in the eyes of God, no matter who they are or where they come from. And just like with the synagogue official or the centurion’s servant elsewhere in the gospels, Jesus pronounces the woman’s daughter healed, effecting this healing from a distance. 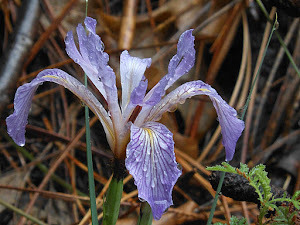 Yet he is still looking for some rest, and for a perhaps a chance to consider the implications of his encounter with the Syrophoenician woman. So he moves even further to the north away from his homeland toward Sidon, further up the Mediterranean coast. 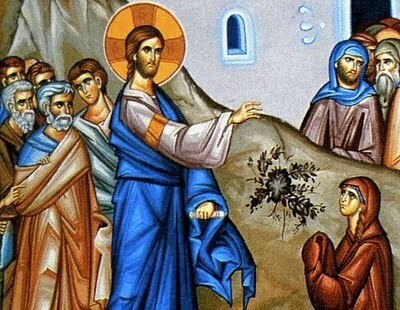 The Syrophoenician woman reminded Jesus and reminds all of us, every single day, to be opened to a crucial reality—a reality still coming into being due to our own resistance and fearfulness. A reality that therefore can never be repeated enough to break through our human tendencies to exclude those different from us. That challenging reality is that God’s reconciling, healing love truly has no limits. God’s love is a generous, abundant love. God’s call is a generous, abundant call to all. This reminds us that our discipleship too must be open to all. We don’t exist as a community of faith merely for ourselves or for those who are similar to us. We exist as a community of faith to serve as disciples and witnesses to the world outside these doors, both when we are acting as a community and when we are acting as individuals. Even when we think no one is looking. Being open to the movement of the Spirit of God in our lives is the foundation of salvation and discipleship, but it's also scary. It means being open to God’s will wherever it may lead us, and we like to be in control of where we are going. It means being open to being surprised. It means being open to acknowledging that God’s ways are not our ways of exclusion and setting people up for failure. Instead God's ways are always about regeneration of heart and spirit. This command to be open to the untamed power of the Spirit moving freely among us reminds me of this story, which I've never shared with you, although I have elsewhere. In April, Pope Francis was visiting with the children of a working-class parish in Rome. The children took turns asking the pope questions. One little boy, probably about 7 or 8, however, lost his nerve when he approached the microphone, and he started to cry. 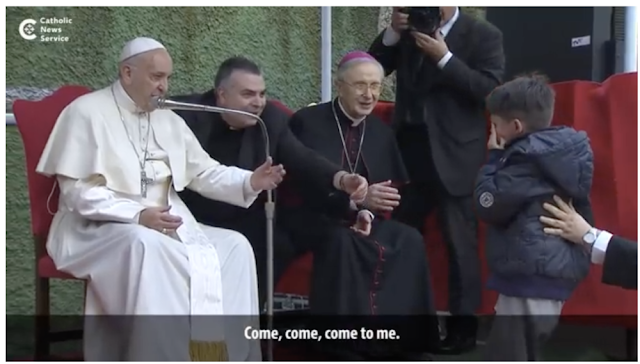 So the pope urged the little boy to come up to him and whisper his question. 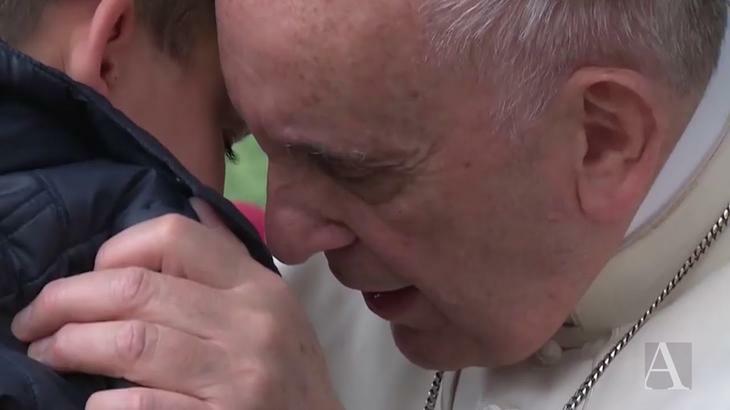 Pope Francis embraced him and they spoke to each other in whispers, and then the little boy returned to his seat. The Pope then said the little boy, named Emanuele, had given his permission for the Pope to share what was troubling him. The little boy’s father had recently died, and had been a non-believer. However, even though a non-believer, he had had his four children baptized, and had been a good man and a beloved father. The boy’s tears for his father, which the Pope characterizes as “brave,” proved that Emanuele’s father had been a good person. “Is my father in heaven?” the little boy whispered, tormented. “Does God abandon his children?” the Pope continued. “No!” the crowd responded, stronger this time. “No!” came the immediate response. The pope makes an important point here. We humans are the ones who try to limit and create barriers—and we are really good at doing that, even in the Church. In doing this, we diminish God and close our ears and our hearts and our eyes to God’s grace. “Be open!” God calls to us! Be open, even if it goes against everything our society tells us about who is in and who is out. Be open, ESPECIALLY because it goes against everything our society tells us about who is in and who is out. We are known as Christians by our love—by the fruit we produce to build up the kingdom of God, whose foundation is love, as our epistle from James keeps reminding us. As Pope Francis pointed out, the fruit of the father’s life that we had before us in this short episode showed a life grounded in love, especially in love for his children that lives on in his children. 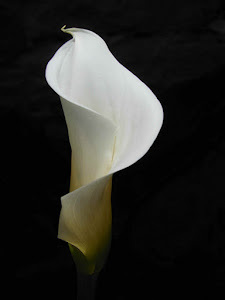 The Syrophoenician woman was faithful despite being an outsider and brave because of her love. God has no partiality and includes all regardless of status. And we are called to do the same. God gives generously to us, and we are called to be open to embodying that same generosity as part of our living witness to God in all aspects of our lives. May we hear God’s command, and respond. But, more importantly, may we hear God’s promise of love within that command. May we open our eyes, and our ears, and our hearts, and offer everything we have and everything we are to the One who loves US that much. Preached at the 505 on September 8, and at 8:00 and 10:15 am on September 9, 2018, at St. Martin's Church, Ellisville, MO. 1) Jesus and the Canaanite woman, modern icon. 2) David Croker, Jesus and the Syrophoenician Woman. 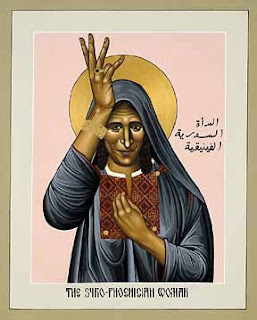 3) Icon, the Syrophoenician Woman. 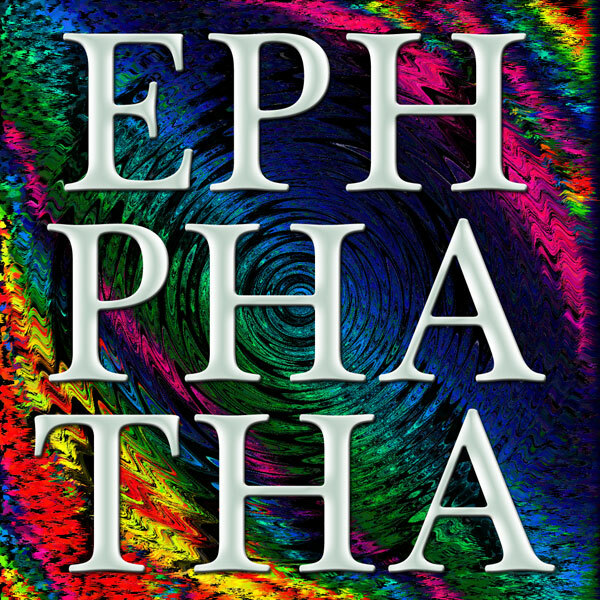 4) Ephphatha graphic, from The Sacred Heart Messenger, at https://sacredheartmessenger.com/tag/ephphatha/ . 5) Pope Francis embraces Emanuele. 6) Pope Francis urges Emanuele forward.